Another Old Drug About To Get A Supersized Price : Shots - Health News Jacobus Pharmaceutical freely gives its experimental drug to patients with a rare disease. Now a rival wants FDA approval to sell its own version — and expects to charge at least $37,500 per year. The first sign something was wrong was when Sarah Shell lost 20 pounds. Then she started complaining that her legs were tired. "She began having difficulty climbing stairs, and I just thought that she was — I hate to use the word — lazy," says Sarah's mother, Leigh Shell. Then the teenager's eyes stopped moving. And she began vomiting out of the blue. Sarah had migraines and couldn't concentrate. Then she lost all the feeling in her hands, feet and legs. Her mother remembers the doctors "testing, testing, testing — but there's nothing that's available that's going to make her feel better." Sarah Shell on Thanksgiving Day. Within an hour of taking her first dose of Firdapse, she regained feeling in her hands, feet and legs. 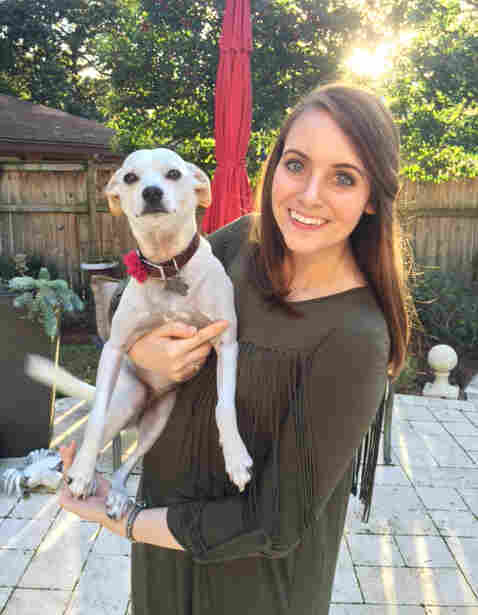 Finally, after years of doctor visits and tests, Sarah, who lives in Gulf Breeze, Fla., was diagnosed with Lambert-Eaton myasthenic syndrome, an autoimmune disorder known colloquially as LEMS. It's thought to affect about 1,500 to 3,000 people in the United States, with symptoms usually starting in young adulthood. Sarah started on an experimental drug called Firdapse. "It was instantaneous, within an hour," Leigh recalls. "It was like, 'Mom, I feel like I can skip.' It was a very emotional, tearful moment for us." Catalyst Pharmaceuticals, which makes Firdapse, has applied for approval from the U.S. Food and Drug Administration under an orphan drug designation. That would give the company exclusive rights to market the drug for seven years. That should be good news for LEMS patients. But the reality isn't so clear. That's because, for the past 20 years, many LEMS patients have received the same drug — known as 3,4-diaminopyridine, or 3,4-DAP — free of charge from Jacobus Pharmaceutical, a firm in Princeton, N.J.
Over the years, Jacobus has distributed its free version of the experimental drug to about 600 people through what the FDA calls a compassionate use program. The program is designed to make experimental drugs available to patients who need them but who aren't enrolled in a clinical trial. Doctors who treat LEMS patients worry that if Catalyst, a small pharmaceutical company based in Coral Gables, Fla., gets approval to market its brand of the drug, the price will skyrocket, making it harder or even impossible for some patients to get any version. In people who have Lambert-Eaton, communication is blocked between nerves and muscles. There's nothing wrong with the muscle, and nothing wrong with the nerve. But there's something in the path between them that's not letting a signal go through. The illness is rare and debilitating and hard to diagnose, doctors say. Jacobus started studying 3,4-DAP in the late 1980s at the request of university physicians who treat LEMS patients. By the early 1990s the company was providing the medicine to doctors who got an "Investigational New Drug" permit from the FDA to prescribe it. The only cost to the patient was the postage to send the shipping coolers back to Jacobus. Jacobus is a small, family-owned company so lacks the deep pockets that shareholders bring. Laura Jacobus says getting FDA approval to sell 3,4-DAP is an expensive process and wasn't a priority. "We could have pursued marketing authority many years ago. But we felt that there wasn't an unmet need," she says. "First and foremost we wanted to make the drug available to the patients and the physicians," Jacobus says. "That was our No. 1 priority, so that was what we did." She acknowledges that getting the drug from her company can be "cumbersome." It requires the doctor to file paperwork with the FDA that has to be updated each year. And patients have to go an extra mile to find a doctor who is authorized to distribute 3,4-DAP. Another alternative for patients has been to get the medication from a compounding pharmacy, which can make it to order using widely available chemical ingredients. But that's generally not easy either. Meanwhile, a company called BioMarin had been going through with some of the testing needed to gain full FDA approval for its version of the drug, Firdapse. In 2012, Catalyst bought the rights from BioMarin to market Firdapse in the U.S.
Catalyst CEO Patrick McEnany says making the drug available via a regular doctor's prescription will benefit patients. 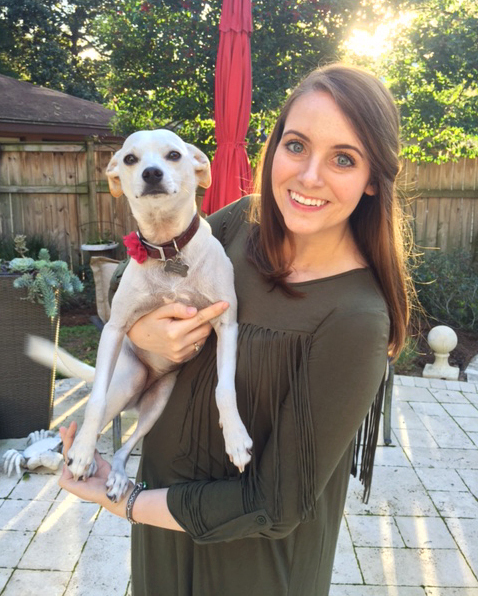 Every day, McEnany says, "patients come to us and say 'I have LEMS and I can't get the drug.' Patients don't have access. It's very important that this drug get approved." Catalyst hasn't announced a price for Firdapse. But in a presentation to investors earlier this month, company officials said they could earn from $300 million to $900 million in revenue each year from the drug. Those revenue projections, McEnany says, represent a "peak opportunity." The projections are based on a generous estimate of the number of patients who could use the drug, and an assumption that Firdapse will be approved for other uses. Still, the figures suggest the company will charge from $37,500 to well over $100,000 per LEMS patient, per year. McEnany says Catalyst, together with BioMarin, has invested about $40 million in research and development of the drug. If the medicine is too expensive for a patient, he says, Catalyst will provide it at a discount or free of charge. "All patients — and I underline and capitalize all — all patients will have access to our drug," McEnany says. "This is not something new. 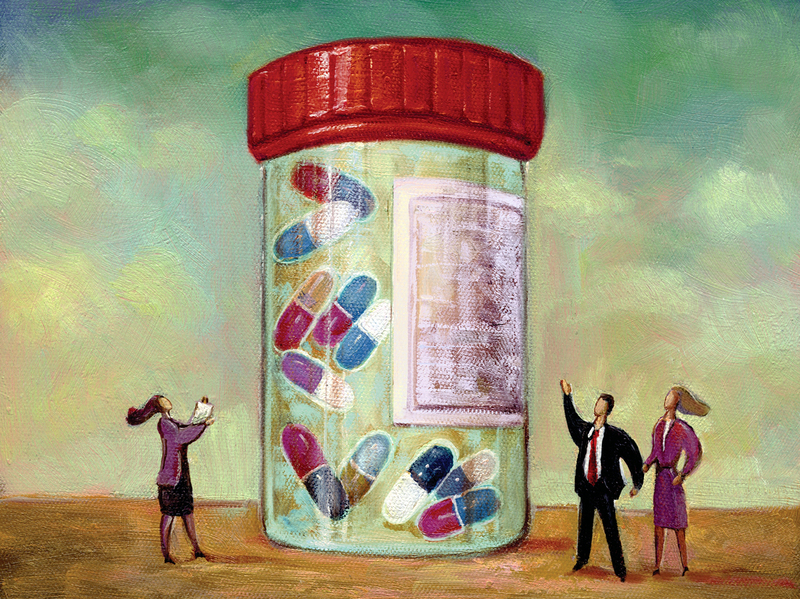 Most orphan drug companies do the same thing." Dr. Gordon Smith, who heads the division of neuromuscular medicine at the University of Utah School of Medicine, isn't convinced. "This is a drug that's cheap to manufacture, that's been available for decades," he says. Smith has specialized in treating LEMS, and says he currently has about 10 patients — a big number for this rare disease. He's been getting 3,4-DAP from Jacobus for 20 years, and says he is worried that if Catalyst's application is approved by the FDA, its drug will be out of reach for many of them. He says Catalyst is exploiting a loophole in the Orphan Drug Act — which was intended to encourage companies to develop new medicines for illnesses that don't have any treatments. What Catalyst is doing, he says, is "akin to trying to patent a ladder." In fact, health service officials in the U.K. have balked at paying for BioMarin's Firdapse. In 2013, the U.K.'s National Health Service looked into buying Firdapse for LEMS patients, and decided "the justification of the treatment's cost in relation to its health benefits was not sufficient." After Catalyst appeared on the scene, Jacobus began the process of applying for approval for its version of 3,4-DAP. The company announced results of its own clinical trial in April. Laura Jacobus declined to say how far along the company's application is. Catalyst completed its application this month. Laura Jacobus says her company has no intention of charging as much as Catalyst's estimated price for the drug. "We've got over 25 years of investment in this, in terms of all of the clinical, and all of the research and development, and all of the chemistry, and all of the patient support," says Jacobus. "And we don't think that it merits that kind of money." She agrees that patients would derive some benefit from a commercially available version of 3,4-DAP. It would make it easier to get the drug, and would entail better labeling, she says, so doctors could more easily understand how to prescribe it. Smith and many neurologists agree. Smith recently co-authored an opinion article in the journal Muscle & Nerve, which was signed by 106 neurologists, calling on the FDA to approve applications for both Catalyst and Jacobus.